inspire, motivate and invigorate their teams. I work with the paradox and tension between the personal and the organisational. 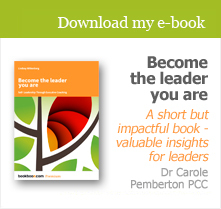 Download my thought paper on leadership coaching.